JFingers, TapAptPat, Al Faromeo and 10 others like this. Man I love this watch. I was lucky enough to get the Obris Morgan Infinity when that came out. I hope I can save fast enough in order to get this before it sells out. A pilots watch is next on my list and hopefully this is it! We all know, where the design comes from, but as a wristwatch it's really special and sets it apart from the usual run-of-the-mill designs. 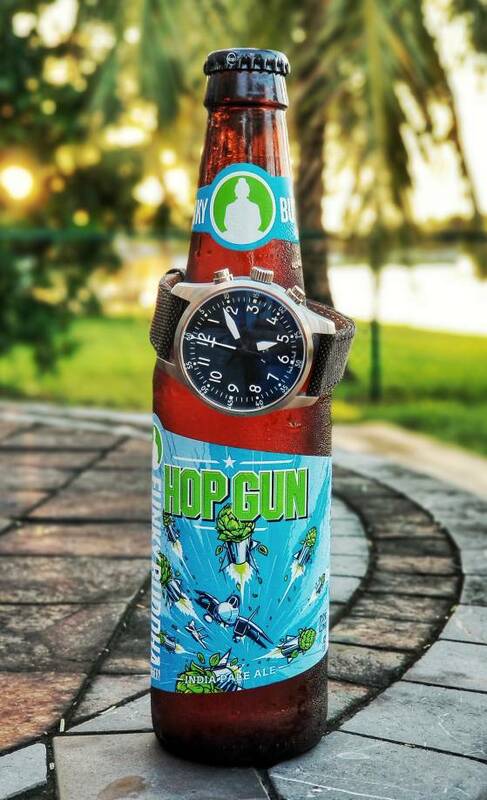 For me the A-13A is the watch of the year. Now I love my A-13A even more. thejollywatcher, fenian, pascs and 7 others like this. Lovely strap choice. The a13 has great versatility and fun in this regard ! Yep! Though I'm in heaven with these new straps, I will order a charcoal grey one from Dan/redrockstraps soon and even think about and additional one. I want to see even more faces of the A-13A. TallWatch, pascs, thejollywatcher and 3 others like this. Bernd, looking through this thread and seeing your photos really hooked me on this watch. Bad timing with Christmas! Hopefully they will be in stock for a few more months and I can snag one. Your photos are great! They really bring out all the best about this watch. I am getting a nice (for me) camera for Christmas and hope to start teaching myself some tricks. oldfatherthames and surfuz like this. Bernd, looking through this thread and seeing your photos really hooked me on this watch. Please accept my sincere apologies! Thanks for the compliment and best of luck to you! It's just a watch, but hey, it's damn cool. thejollywatcher, fvc74 and hongkongtaipan like this. Don't worry, I'm sure i won't run out of stock so quickly! I agree with you: it's a very cool timepiece and looks so good on your wrist. Good choice!